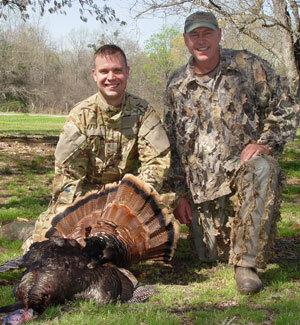 If you enjoy turkey hunting, or just want to start, this is the place. 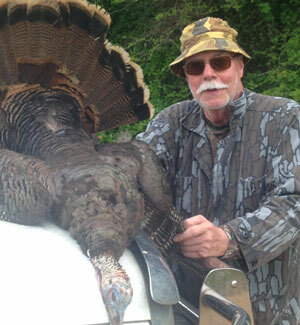 This is a turkey that we killed that has three beards. The three beards together measure 26.5 inches. 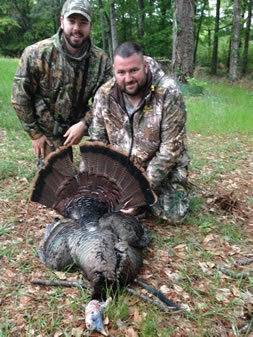 We kill several double beard turkeys, but this was the first triple beard. 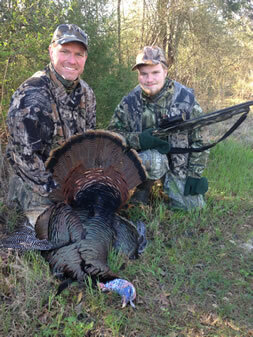 The guides are all experienced turkey hunters that will do their best to make sure you get your bird. 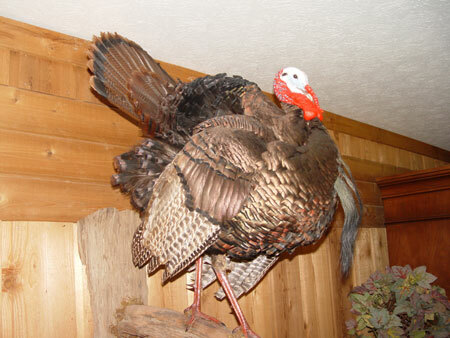 We call the turkeys for you and can even provide you with camouflage if needed. We'll do everything we can to help you enjoy yourself. 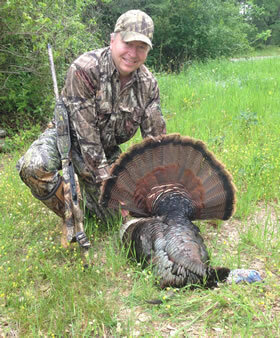 We start our hunts just after daylight, when the turkeys are just coming off the roost. Be sure that you get a good night sleep the night before. It's tough to sit quietly and not go to sleep if you're tired. • Guided hunts usually are a one hunter per guide hunt, but two hunters can go together with one guide if they would like. 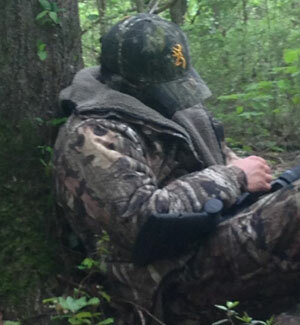 • Hunters that enjoy calling may do so and the guide will just sit quietly unless you need him. • We hunt with you all day. You pay for an all day hunt and if you don't kill a bird that morning, we try just as hard that afternoon. We don't quit at lunch and send you to sit by yourself the rest of the day.